This week for writing, we did an activity about persuasive advertisements. We had to fill out questions that relate to images we see of products. We had to do 6 sets of questions, and choose one of them to blog. 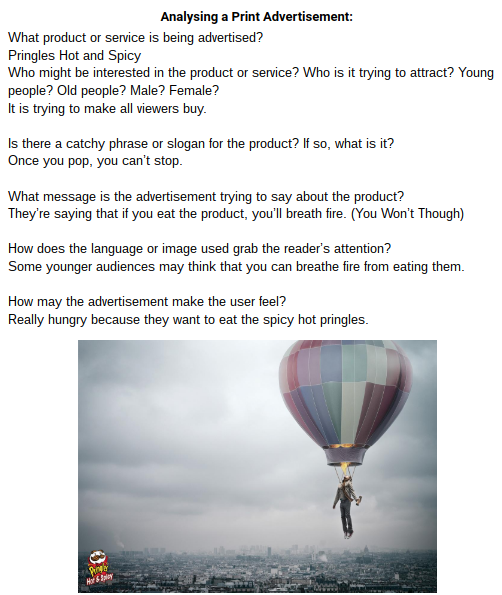 Me and my group chose to blog our Pringles activity.